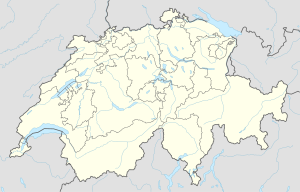 Groups A and D were played in Kloten, groups B and C in Bern. The top three teams in the standings of each group of the Preliminary Round advanced to the qualifying round, and were placed in two groups: teams from Groups A and D went to Group F, while teams from Groups B and C went to Group E.
Each team played three games in this round, one against each of the three teams from the other group paired with theirs. These three games, along with the two games already played against the other two advancing teams from the same group in the Preliminary Round, counted in the qualifying round standings. The top four teams in both groups E and F advanced to the playoff round. The bottom team in the standings from each group of the Preliminary Round played in the relegation round. Germany, as hosts of the 2010 tournament, were guaranteed to stay in the top division. Denmark, the best ranked team in the group from the other three teams, stayed in the top division for 2010, while Austria and Hungary were relegated to the Division I tournament. * Hosts of the 2010 WC, therefore exempt from relegation. ^ "Russia beat Canada 2–1 to win world hockey championship". Archived from the original on 25 June 2009. Retrieved 11 May 2009. ^ "Kovalchuk named MVP". Archived from the original on 25 June 2009. Retrieved 11 May 2009. ^ "Armchair supporters". The Economist. 9 February 2010. Archived from the original on 25 February 2010. Retrieved 5 April 2010. ^ "France advances over Germany". IIHF.com. 28 April 2009. Archived from the original on 30 April 2009. Retrieved 28 April 2009. ^ If 22 World Championship titles won by the Soviet Union are included, this total comes to 25.